US gold coins are a popular option for investors of precious metals. Depending on your goals, they could be a good fit for your investment portfolio, but you’ll want to familiarize yourself with some of your options. Investors of precious metals have a wide variety of gold coins to choose from. Each type has its own unique features and investment strategy. Below, we provide a brief overview of 3 of the primary options available to you when considering US gold coins. As you compare each type, keep in mind that there are still many other options, aside from those minted in the U.S. Diversifying your portfolio with a variety of coins from around the world, as well as other precious metals, might be a strategy to consider for your investing goals. Your precious metals specialist at Birch Gold Group will be happy to go over all of your options in greater detail. Gold bullion is an extremely liquid asset and thus a popular option for those who want to preserve wealth without relying on the volatile stock market. First released by the United States Mint in 1986, the American Gold Eagle bullion coin is issued in four denominations: 1/10 oz, 1/4 oz, 1/2 oz, and 1 oz. (with face values of $5, $10, $25 and $50, respectively). The actual value of the coins is determined primarily by the current market price of their gold content. Numismatic US gold coins are those minted prior to the Gold Confiscation Act of 1933 (formerly known as Executive Order 6102, signed by President Franklin Roosevelt). A few different factors influence the value of these gold coins, in addition to their gold content. Their value is also determined by their scarcity and condition. This is why many Birch Gold clients choose numismatic coins as an alternative to other non-retirement liquid assets, such as money market funds, CDs or savings accounts. “Proof” is a term used by mints to identify collector’s-quality coins that are minted in limited quantities each year (originally for the purposes of archiving and checking dies). Like their bullion counterparts, the American Gold Eagle proof coins are issued in four denominations of $5, $10, $20 and $50, each with a composition of 91.67% gold, 3% silver and 5.33% copper. Current market prices, as well as rarity and condition, all influence the value of these coins and play a role in its growth potential. 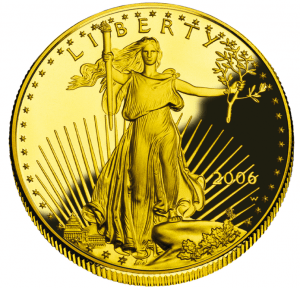 The American Gold Eagle proof is the only collectible gold coin (More Info) that you can place into a precious metals IRA. Which US Gold Coins Are Right For You? 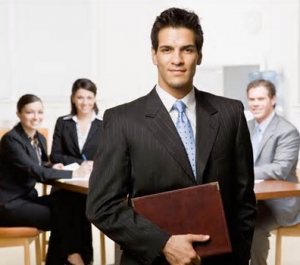 Let the professionals at Birch Gold Group be your guide. We offer a wide variety of gold coins, as well as other precious metals investments. Our knowledgeable specialists are happy to help you decide which options may be best for your needs. Rated A+ by the Better Business Bureau. Birch Gold Group is a leading precious metals company known for its proven track record, integrity and no-pressure approach. Unlike others, we’re motivated by success stories instead of transactions! Call us at (800)355-2116 to speak with one of our friendly advisors today, or simply fill out the form on this page for more information.